So, you sprained your ankle. What do you do now? Everyone knows that following an injury, R.I.C.E (rest, ice, compression, elevation) seems like the immediate protocol. However, the body needs nutrients in order to heal efficiently and properly. With the right nutrition it is possible to limit the initial damage from acute injuries. 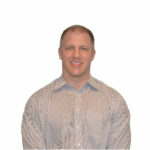 The first 72 hours after an injury there is a very important window of opportunity to provide essential nutrients to the body so the acute injury doesn’t became a chronic issue. 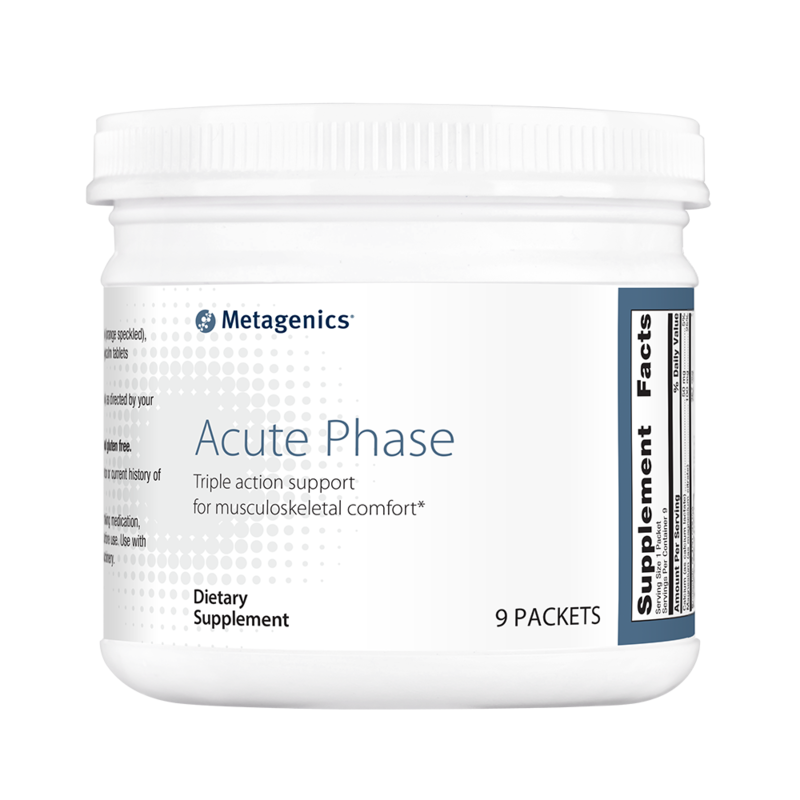 Acute Phase Metagenics: People who need muscle tissue support and pain relief should take this. This product features premium grade proteolytic enzymes, targeted herbal extracts and also essential minerals. This trifecta is designed to reduce pain and inflammation, muscle spasms and at the same time, increase circulation to the injured area. It is the ideal nutritional component for the first three days after an acute injury. Some examples of injuries that would benefit from usage would be muscle strains, tendon injuries, sprained ankles, wrist, shoulders etc. The major active ingredients in Acute Phase Metagenics are listed below as well as how the body uses them to heal faster. Protrypsin: A proteolytic enzyme formula that is designed to support tissue health and regeneration. What does this mean to you? : It will fight inflammation. Myocalm: This supplies important minerals involved in muscular contraction and relaxation responses. This is made from passion flower extract and valerian root. What Does This Mean to You? : It will help relieve muscle pain associated with stress or physical exertion and help to prevent night time leg muscle cramps. It also helps to reduce muscle spasm and decreases nerve sensitivity which helps to reduce pain. Inflavnoid Intensive Care: This features an extract of boswellia, turmeric, ginger, cayenne and quercetin. What Does This Mean to You? : These ingredients are designed to reduce pain and inflammation. Another way to think about that is that it is similar to taking an herbal aspirin while in contrast, it won’t cause stomach problems. Cayenne is an herb that has long been prized for its many benefits such as the relief of pain, which complements the activity of the other herbs. Quercetin provides excellent muscle tissue support and relief of minor pain. Proteolytic Enzymes: Digests and breaks down protiens, reduces harmful inflammatory chemicals (PGE2), increases circulation to the injured area for better nutrient delivery. What Does This Mean to You? : It helps improve blood flow to the injured area to help you heal faster. Acute phase is a fantastic way to get you out of pain quicker, speed up your healing time and get you back on the field faster. Because of this, I recommend that patients keep an acute pack in their bag. So, if you get injured and can’t get immediate treatment. Begin the healing process by taking the essential nutrients. Purchase an Acute Phase by visiting our Metagenics page!